TITLE: IS FREEMASONRY PREPARING A SMEAR CAMPAIGN AGAINST CUTTING EDGE MINISTRIES AND CHRISTIAN AUTHOR RALPH EPPERSON? Subtitle: A pointed email from a Mason to Ed King of MasonicInfo.com urges that Mr. King "dig up a lot of dirt" on Epperson and me. Can I smell a lying smear campaign coming? NEWS BRIEF: "Deliberation of Truth = Freedom", email to Ed King from a Mason, August 28, 2000.
anti-masons listed on your well-organized web site. Don't settle for childish antics. Stand up for yourself and the brotherhood ... My description of Epperson and his work were FAR too simplistic. Indeed, he should have been given far more 'ink' than what we've got. His works are well-favored by Christian Identity groups and those of the self-styled 'militia'. It's my understanding that an upcoming hate-crime trial is going to attempt to use Epperson's works as part of the 'excuse' much the same way as Oklahoma City bomber Timothy McVeigh has used the 'Turner Diaries' for his." "Indeed, Epperson should be debunked completely - and I'll work on doing so over the next couple of weeks." This Mason is angry because Epperson did some really deep digging into the Invisible, Inner Freemasonry [Read Free001a], quoted much of these formerly secret material verbatim and then tied all their teachings together to reach some truthful, but startling conclusions. He proves that Masonry's major aim is the total destruction of Christianity [Masonry: Conspiracy Against Christianity "]. My research has revealed the same Anti-Christian goals. Whenever men cannot refute using facts, they invariably turn to slander, usually going after the person's reputation. This ploy has been used over the centuries, sometimes to great effect, to bring a person down through lies when what they have been saying cannot be refuted by words. 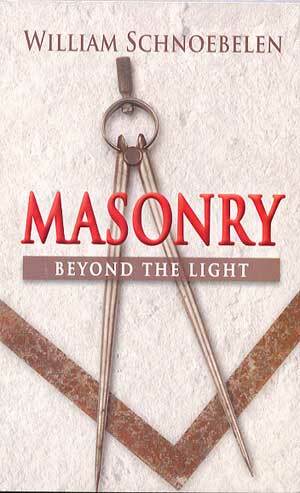 In fact, I am well aware that it is difficult for a Mason to "defend the indefensible". 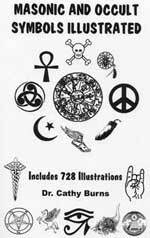 How can you defend against the words of Masonic authors praising Lucifer, teaching the same beliefs as the old Satanic Mystery Religions of Antiquity, and using the same symbols as do Satanists? "Interesting too that Epperson has been cited by other authors for his latent anti-Semitism. Yes, I will have to expand this particular section immediately!" The first lie this Mason attempts to tell is that Epperson is anti-Semitic, one of the oldest smear lies in history. I have read all of Epperson's books, and have not detected any anti-Semitism in them at all, and I am very sensitive to anything that smacks of hatred or animosity against God's Chosen People. The second lie is that Epperson courts the support of Christian Identity Groups. Since these groups are considered to be far-right wacko organizations, this accusation is attempting to paint Epperson with the same broad brush. If Christians were to think Ralph Epperson is part of the Christian Identity Group, and/or that he is anti-Semitic, that could possibly stop the sale of his excellent books in their tracks. "You have quite a lot dirt to dig up on all of these anti-masons listed on your well-organized web site. Don't settle for childish antics. Stand up for yourself and the brotherhood." What happens when a Christian author has no legitimate dirt that someone can dig up? Why, that is no problem -- all the smear artist has to do is to invent some delicious dirt! Americans continue to show their love of falsehoods and innuendo by buying all those dirt magazines, National Enquirer and Star, and many others. Most of those stories are totally invented out of thin air, which is why these rags are constantly finding themselves in court accused of slander, usually by a Hollywood actor or actress incensed by the lies told about them. The reason God hates lies so much is that they do not need to have any basis of truth whatsoever. This Mason is urging Mr. King to "dig up dirt" on Epperson and me, and to do so in a rough and tumble manner, not settling for "childish antics". In other words, he thinks it is time to get tough in spreading lies and innuendo about us. Spreading these lies will be "standing up for the brotherhood". If the Brotherhood of Freemasonry needs to resort to lying as a tactic in order to defend itself, then it is exactly the type of Luciferic organization we have reported it to be. They are convicted by their own words. When this Masonic author urged Mr. King to not "settle for childish antics", I wondered if he was insinuating that the Masonic leadership resort to physical action? Since too many local and state police officials, judges, and prosecutors are Masons, I wonder if some lying charges might be trumped up against Epperson and me? Might we expect a police officer at our door with a warrant, charging us with some invented crime? The manner in which "hate crime" is consistently being redefined, that might be the charge. But, you know, it could be anything, and the more delicious the lie, the more received it might be among the masses. With high technology today [Read NEWS2101 and NEWS1378 to see how technologically feasible it is now to create false "official" records and documents], it would be easy for someone in official government to create documents that, while totally fake, look very, very real. To be honest, this email from this outraged Freemason is the ranting of one Mason. We have no evidence that Mr. King or anyone else in official Freemasonry is actually planning a smear campaign. But, we were copied on this email to Mr. King in order that we might feel intimidated that such an official campaign might be forthcoming. What did my Daddy used to say? "To be forewarned is to be forearmed". This spiritual warfare just might be getting more physical soon.